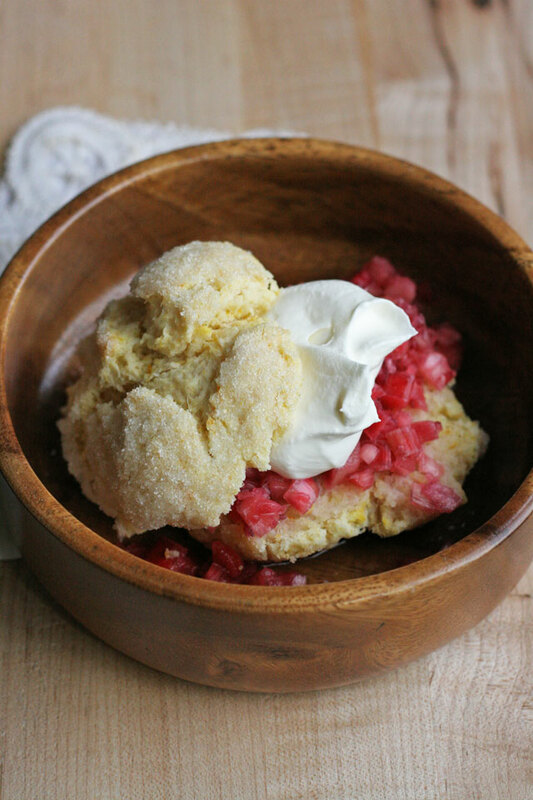 I’ve been thinking about making this dessert for over a year now and it’s finally here! Why did I not make this sooner? No clue, but it’s all good, it’s here now and worth the wait. Only good things can come from mangoes, limes, sour cream, condensed milk, and graham cracker crust. I’m certain of that. It was a final and very easy decision to develop this recipe with these glorious mangoes in the stores. I could smell them from around the corner, at that moment I knew this recipe would be made at last. So I grabbed a few and got to playing with this recipe. 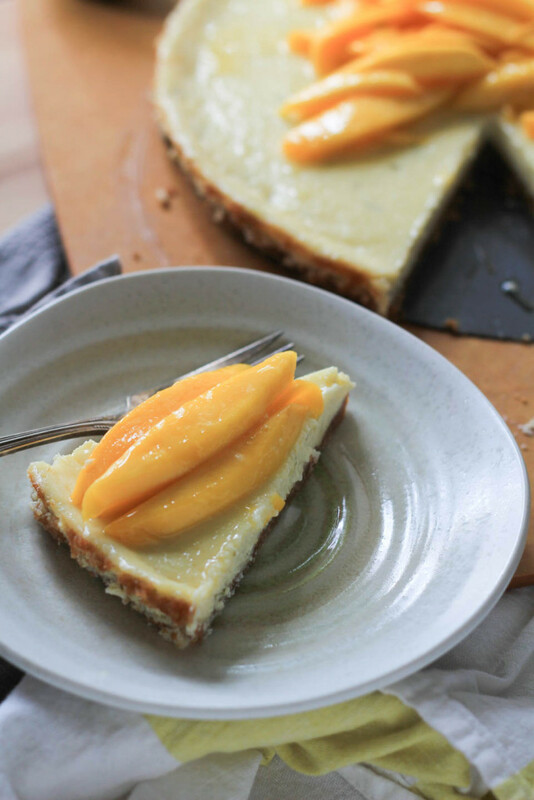 The outcome, a creamy, tangy, slightly sweet mango lime tart with a buttery graham cracker super easy crust. You can see me on ABC’S KATU CH2 this week on Tuesday March 21t from 3-4pm on Portland’s Afternoon Live TV show! Tune in to see the baking fun :). 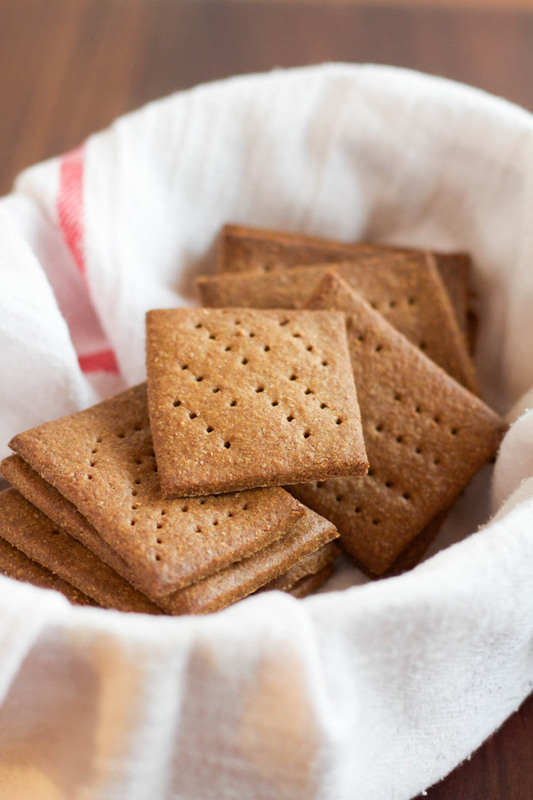 You can totally make the graham crackers from scratch or buy the good quality ones at the store. That part I’ll leave up to you, it’s fun, indulgent, and satisfying either way! Note: If you do not have a tart pan, this can be made is a pie pan, tin, or oven safe pyrex dish. Spray or butter the pan you’ll be using. Place oven rack in center of oven and preheat to 350 degrees. Place graham cracker crumbs and salt in a large bowl, mix to combine. Stir in butter using a spatula. Press crumbs into pan firmly to form crust. Use the bottom of a cup or measuring cup to help press crumbs. Place on a baking sheet, place in oven for 15 minutes. While crust bakes place egg yolks in a large bowl. Using a whisk or a hand mixer, whisk until pale and thick, about 2 minutes. 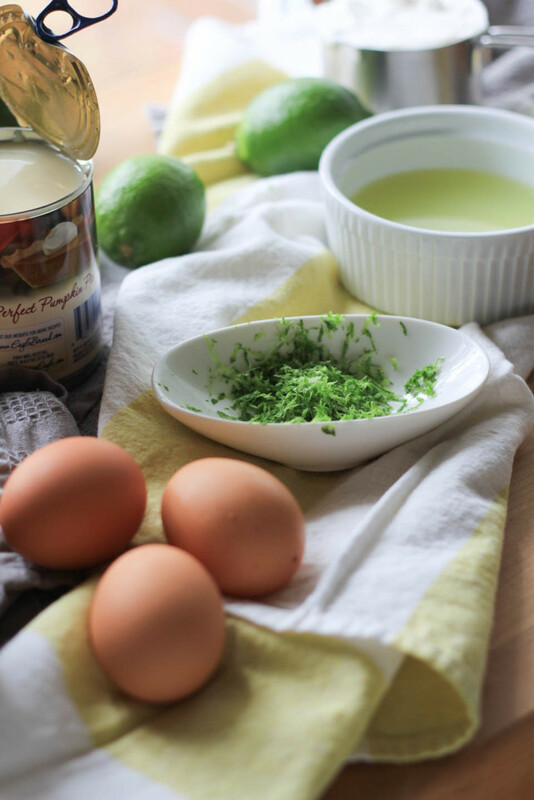 Place lime zest, lime juice, condensed milk, sour cream, and salt into the egg yolk mixture. Whisk to combine for about 2 minutes, until thick. 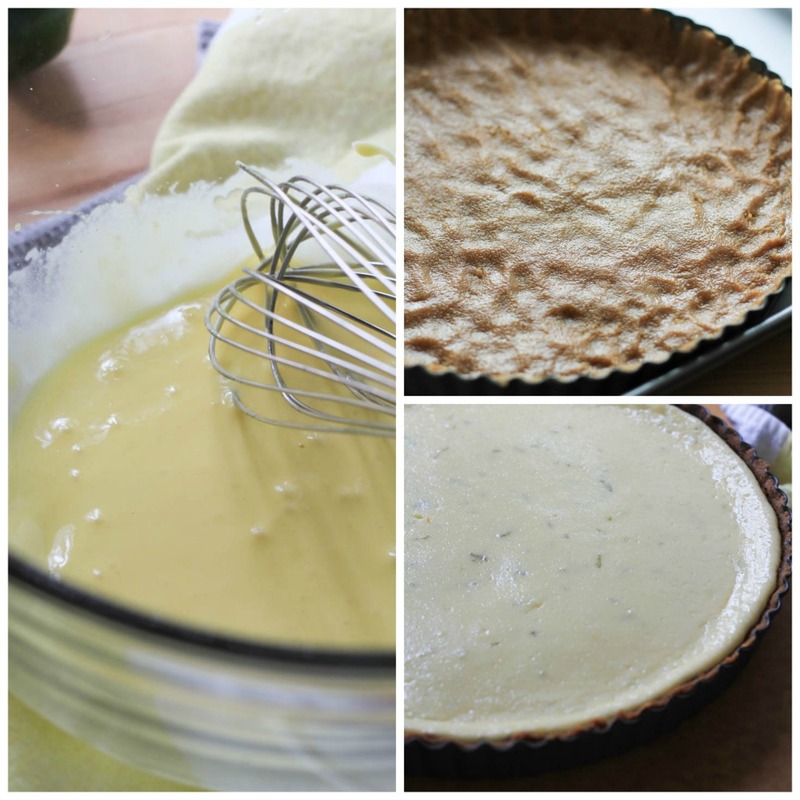 Pour filling into prepared tart crust, place on baking sheet and place in oven, bake for 20 minutes or until center is firm. 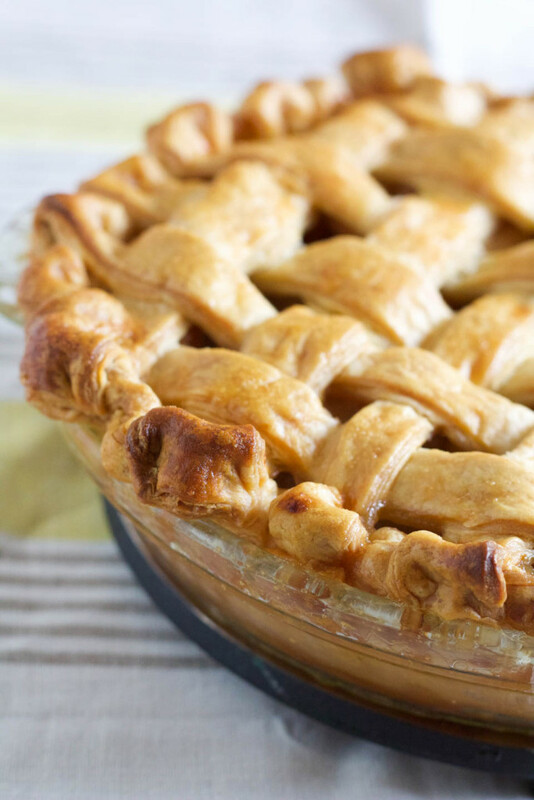 Remove tart from the oven, place in fridge for 4 hours to cool and firm. 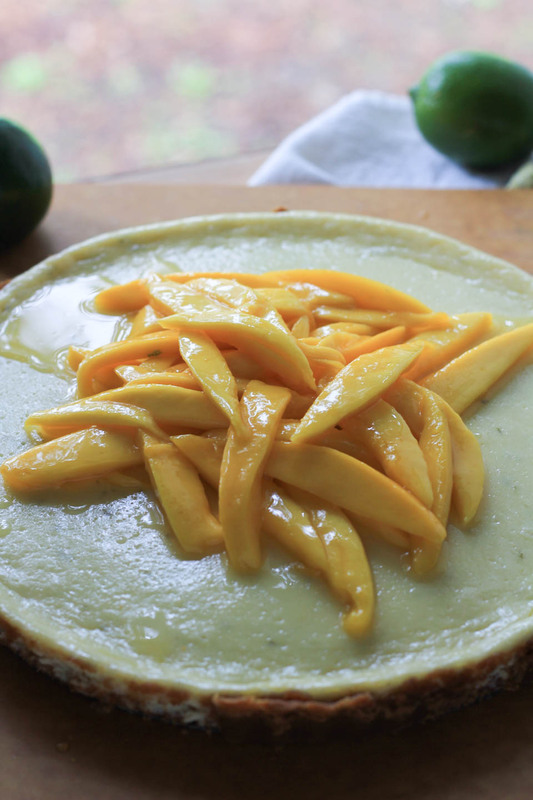 Before serving, add mango slices to top, or serve mango slices with each slice of tart for ease. Store leftovers in fridge for 1-2 days. More of my live segment tv recipes from ABC’S KATU AM Northwest! Haha – I’m so glad I’m not the only one who often keeps a recipe idea rambling around in my head for months and months before I finally bring it to life! 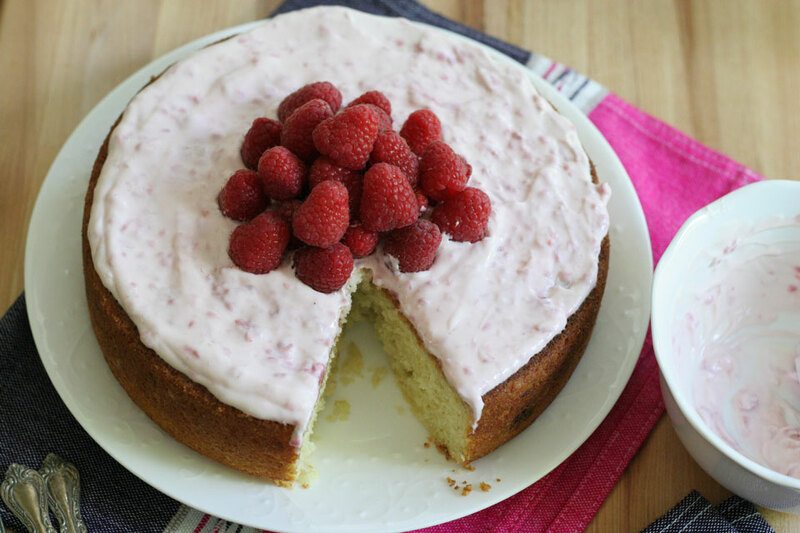 But you’re definitely right … this recipe was worth the wait! Love the flavor combination of tart, bright lime and sweet mango! Lol! It’s happens way more often than I thought for me too :). Just beautiful! Love the flavor combination of both fruits, too!